today has been spent doing a small bit of christmas trimming...trying to finish up cards and beginning to stash surprises under the tree. giving gifts and wrapping them up special is something i love to do. but having a little teething baby has made making homemade gifts almost impossible this christmas...so i've been doing lots of shopping online. but adding a little special homemade touch is important to me...so this year i decided to use fabric and painted canvas paper to wrap things up with. i tried my hand at recreating the pom pom anthropologie paper i've been pining over (i used white crate paper (to give it a handmade paper feel) and 7mm red pom poms...wrapped the gift up in the crate paper and hot glued the pom poms on). 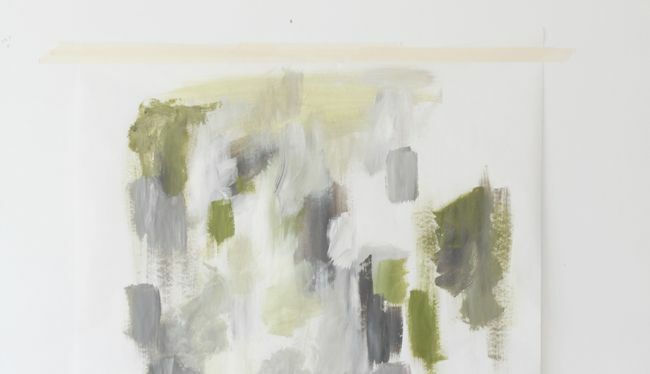 to make hand-painted paper, i use primed canvas pads and acrylic paint. max and i had a ball painting away last night...and because the sheets are primed they mold really nicely around the gift when it's time to wrap! they're like little pieces of fine art to make the best kind of first impression. These are fantastic! 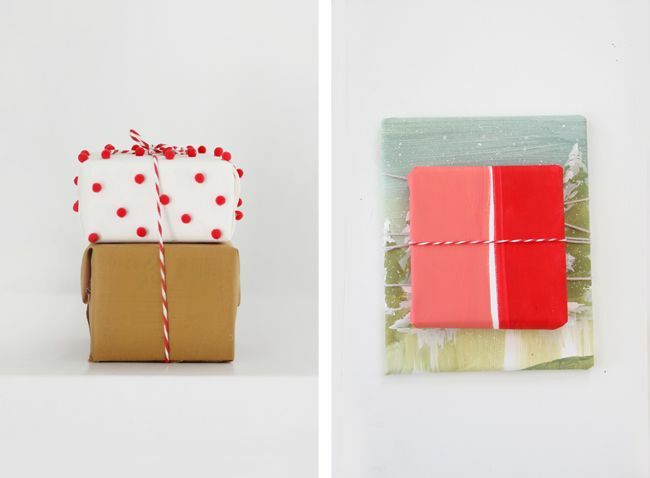 I especially love the idea of hand-painted wrapping paper - pure genius. I found your post via Pinterest and am smitten with your blog! I hope you and your beautiful family have a great weekend! There is no end to your wonder. I'd settle for an empty box! Who needs a gift with lovely wrapping like this?! That wrapping paper is a gift in itself - so wonderful! oh golly, you are so talented. 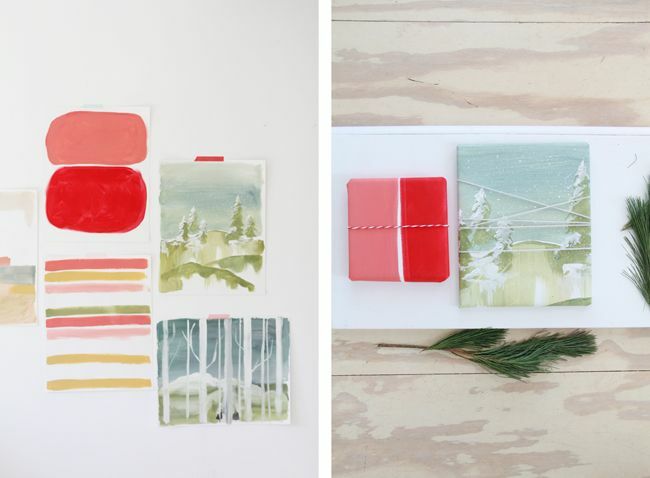 i love your wrapping paper paintings! I wouldn't want to rip or tear any of those beautiful wrappings! Excellent job Katie! Wow, these look beautiful. I would never have thought of using painted canvas paper, but I simply love how you've paired it with white, kraft and baker's twine. 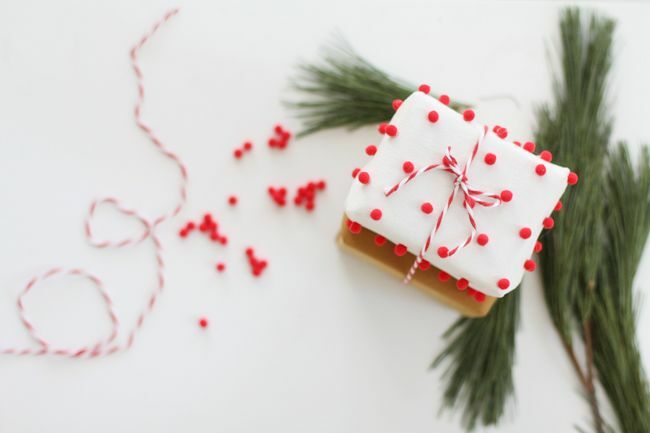 Love this post your photos are really beautiful and the wrapping looks really fun! such a beautiful way of gift wrapping the gifts. i love ideas like that and always prefer to wrap a gift up in an unique way. makes it even more special. Your gift wrapping skills put mine to shame. Your blog may just be my new obsession. I love the style of your posts and the creativity of painting your own wrapping paper. I like your Pom Poms better! You have such a talented eye--a true artist in everything you do! Love your blog and this post is stunning! these are so beautiful. and i am so jealous! i love wrapping gifts and making them pretty...but now with three kids i feel like i don't find the time! i guess my kids are young enough i can toss on the paper and they could care less, but i need to find time to wrap the adult gifts in my life pretty-like! also...i love you christmas card. i am getting a a bit tired of the photo card because there are such beautiful cards out there. but a lot of people like to see an updated photo...washi tape to the rescue for me next year! that pom pom packaging is adorable!! 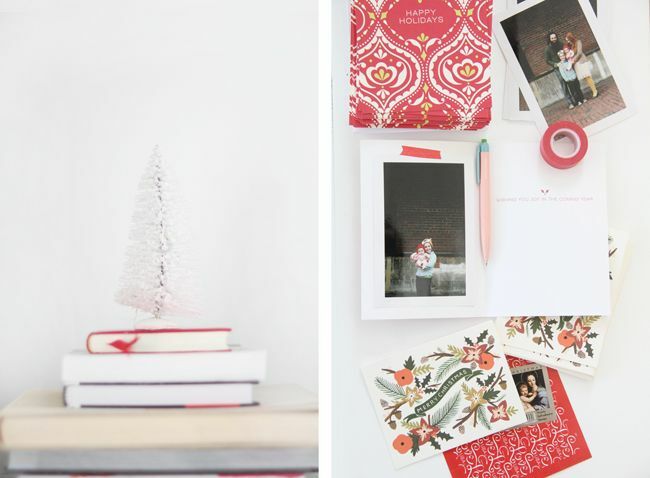 Love, love, love your Christmas cards - can you do a post about them? Love the pictures with the white border and taping them in there. Super cute!!! Merry Christmas! Your talent is endless!! Will you do a post with gift ideas? That's very creative. I like the colors it's looks so lively. Thanks for posting this, any info on the subject, positive that is, will help people understand more about nice pint. I want to inform you about Baby books for boys. It is essential to know the character and the passions of the person before purchasing the existing because sometimes, Customised gifts to buy a existing that is more in range with something that they might like for themselves. They do not focus on the recipient's needs and wants. So, before purchasing anything do some research about the person? This is easy. You will only need to location your purchase period paper alignment and we guarantee you that by the time you buy essays please feel free to visit our site. Up the following forenoon, your term paper will be ready. Furthermore, we have writers engaged all through the evening and day. To direct and duty web betting, France proposed new laws on March 5, 2009. It was expressed by Budget priest Eric Woerth that the French betting business onlinecasino 777 sector would extend to adjust to "Web actuality."